Our school have been amazing support and have allowed us to have a number of bake sales to help us slowly raise all of the funds needed for us to compete in Singapore in September. The team have managed to get all parents on board who have been helping us bake for the sales to ensure we are maximising our intake! We set up the start of the F1 in Schools track in our lunch hall to give people a shot at seeing how fast their reactions were. This gave the other pupils in our school a chance to have a go themselves and test their own reactions It also gave us a chance to talk to everyone who was involved about F1 in Schools and what it actually involves trying to encourage younger pupils to get involved as they move up the school. We thought we'd try something different and asked local Zumba instructors if they would do a Zumbathon for us. It was an amazing turn out and we even got up on stage at one point with one of the instructors for a routine (although we weren't very good!). The whole event was great fun and everyone who turned up were amazing and really enjoyed themselves! A massive thank you to our local team Livingston Football Club for helping us to raise funds! 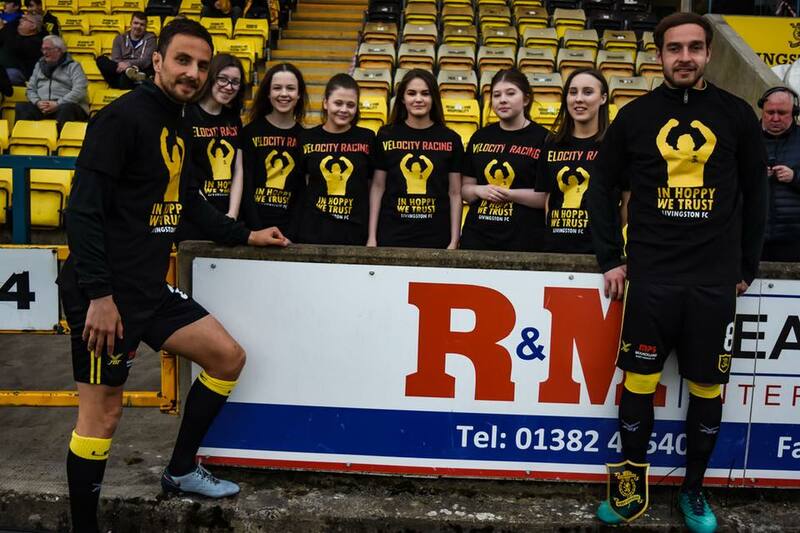 Approached by a Livingston fan we didn't think making a t-shirt in support of the manager would have taken off on such a huge scale - all the players warmed up in them on their home leg of the first round of the play-offs and then signed them and gave us them back to auction off. 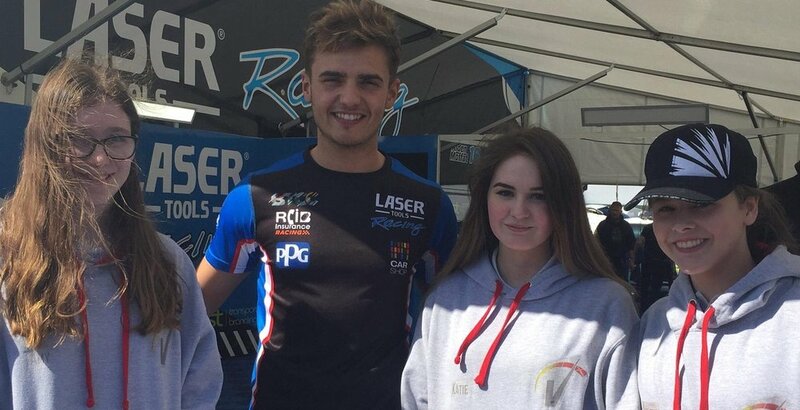 We were invited to have a stall at Knockhill on the weekend of the TCR Championships. We set up the first part of the track and allowed people to have a shot to encourage people to ask us questions and find out more about our team. Knockhill were also generous enough to also give us the use of their new simulator to help raise funds too. Amazing day all round and useful to get more people from around the country to follow us and encourage interest in F1 in Schools! Velocity Racing is an all girls team competing in the 2018 F1 in Schools competition. We are made up of students aged 14 to 16 from Inveralmond Community High School in Livingston, Scotland.